Produce High Definition cards the easy way. The Fargo DTC550 Card Identity System gives all types of organizations a reliable, hard-working system for producing all types of personalized credentials, such as photo IDs proximity access cards and sophisticated smart cards. Its flexible design protects your investment by allowing you to easily reconfigure the system as your ID card needs dictate. 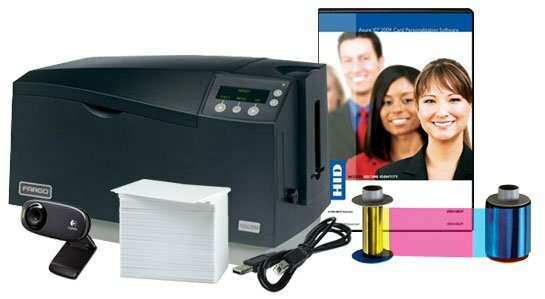 The system includes a Fargo DTC550 Printer/Encoder, Asure ID photo ID software, USB digital camera, supplies and a two-year warranty. The Fargo 89257 is also known as Fargo Electronics	FGO-89257	.